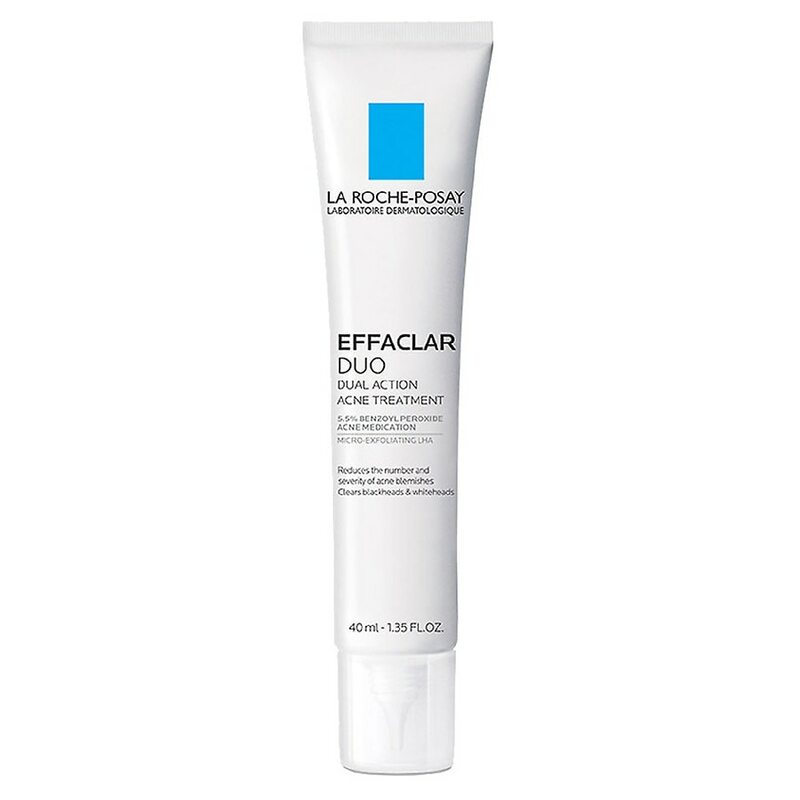 La Roche-Posay Effaclar Duo Dual Action Acne Treatment with Benzoyl Peroxide is the only acne treatment available with micronized benzoyl peroxide (5.5%) and Lipo Hydroxy Acid to treat acne deep in the skin. Micro-exfoliating Lipo-Hydroxy Acid provides precise cell by cell exfoliation to clear away cellular debris and oil. Non-drying, oil free acne treatment cream with fast absorbing texture. Use as an acne treatment for acne. Recommended for blemishes, blackheads, and whiteheads. Dermatologist tested on sensitive skin. Use as a daily, acne treatment. Apply thin layer morning and/or evening 1-2 times daily to affected areas. For further instructions, refer to the Drug Facts on the packaging. Stop use and ask a doctor if irritation becomes severe. Keep out of reach of children. If swallowed, get medical help or contact a Poison Control Center right away.